When the women on the national hockey team started a protest for fair pay, they had no idea it would become a historic moment in women's sports. 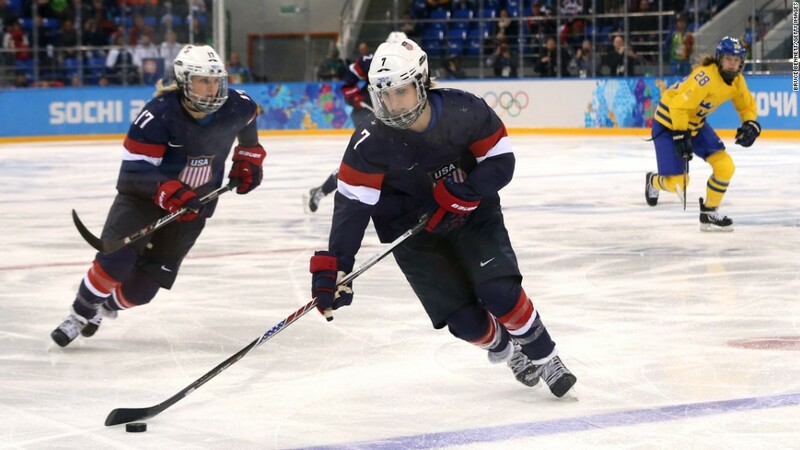 The U.S. Women's National Hockey Team vowed to sit out a major international tournament unless they were making progress in their negotiations with USA Hockey, the sport's governing body. On Tuesday the two sides reached a deal -- three days before the start of the International Ice Hockey Federation World Championship games. The women wanted a $68,000 salary and the same treatment that the men get, including the ability to bring a guest to competitions, business class airfare and disability insurance. They also wanted benefits like child care, maternity leave and the ability to compete in more games throughout the year. "We're not talking a bunch of specifics in the contract but whatever the men's team gets it'll be on par with what we get from now on," national team member Monique Lamoureux told CNNMoney. Her twin sister and teammate Jocelyne Lamoureux agreed. "We got what we thought was fair and what they were providing for the men," Jocelyne said. "We're really proud of that and we're really happy with the agreement we came to with USA Hockey." The women will also get better marketing and promotion. Additionally, there will be a special group designed to help advance girls' and women's hockey. The U.S. is hosting the IIHF World Championship games, and the women's team is the defending champ. The women face Canada in their first game on Friday at 7:30 pm ET.